James Gilchrist was born 21 June 1813, the son of a working mason, at Collin near Dumfries. His father died of consumption at the early age of 30 in 1816. James was brought up by his mother, a woman of strong character. As a young boy he helped to contribute towards the cost of his education at the parish school of Torthorwald by working on local farms during his school holidays. His education appears to have been somewhat sporadic; however he was able to benefit from occasional attendance at the Dumfries Academy where a distant relative of his was a teacher. It was here that he became interested in the sciences. He continued to educate himself after being apprenticed to a draper in Dumfries, but his health suffered as a result of working so hard. His work at the local Sunday school kindled in him a desire to enter the Presbyterian ministry. Leaving the uncongenial drapery trade, he managed after a time as a schoolmaster in a boarding school to raise enough money through his own efforts and those of his friends to enable him to attend a university, first Glasgow (1843) and later at Edinburgh - a remarkable achievement for a largely self-educated man at the age of 30. Unfortunately ill-health forced him to retire from the divinity course, and he convalesced in the country which no doubt fostered his interest in natural history. During this period he gave up his plans to enter the ministry, and he decided instead to study medicine, returning to Edinburgh University in 1846. Impressed by his ability, several of his professors generously waived payment for their classes - a debt which he repaid in later years. He obtained his M.D. in 1850 and was appointed from then until 1853 as medical assistant at the Crichton Royal Institution, Dumf ries, and as medical superintendent at the Montrose Royal Asylum from 1853 to 1857. In 1857 he became medical superintendent at the Crichton Royal, where he remained until heart trouble forced him to retire in 1879. In his retirement he organized and conducted classes in natural history. He died at Dumfries on 7 December 1885; obituaries are to be found in several publications including the Transactions of the Botanical Society of Edinburgh (17: 2-11) and the Scottish Naturalist (8: 242-243). He triumphed over adversity; he was a stern Presbyterian, a non-smoker, a teetotaller, and a martyr to dyspepsia. He was gentle and kindly, and pioneered new treatments of psychiatric illness. He married twice late in life: his first wife died, aged 35, in 1881 leaving him two sons; he married again in 1883. His second wife nursed him and was a devoted stepmother to the two boys, both of whom rose to eminence - one in surgery, one in music. All his life he was a keen botanist and geologist. He was essentially a field worker, and travelled widely in the British Isles and on the Continent. He created a botanical and geological study group at the Crichton Royal, and founded the Dumfries and Galloway Natural History Society in 1862, being its President from 1874 to 1878 and from 1882 to 1885. A plaster bust of Gilchrist by Dods, made in 1886, was presented to the Society in 1913, and is now in Dumfries Museum. He was President of the Cryptogamic Society of Scotland in 1883. 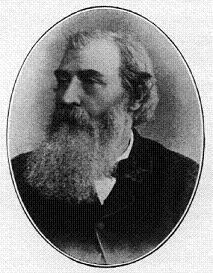 His published botanical work is limited; only two minor contributions (Gilchrist, 1855; Smith and Gilchrist, 1860), are known, and the role he played in the compilation of papers by other authors is not fully recognized. Dr Gilchrist's cryptogamic interests were in all probability stimulated through his meetings with Mr Alexander Croall (1809-1885). He was also in contact with Dr William Lauder Lindsay (1828-1880), one of the foremost lichenologists of his day; no doubt their communications in the first instance were of a professional nature since they were both involved in mental health treatment. There are clear indications from the contents of the lichen collections, publications and correspondence of Gilchrist, Lindsay and their contemporaries that there was close collaboration in field work in Scotland, and a free circulation of their herbarium material. Many of the locations for the Dumfries Museum herbarium material .. .. were the favourite haunts (e.g. Kinhoull and Craigie Hills) of Lindsay. The accumulation of Gilchrist's herbarium material may have resulted either directly from Lindsay, and(or) by joint field activities by the two, and(or) by independent collection by Gilchrist, possibly on the advice of Lindsay. The majority of the collections made in Kirkcudbrightshire and Dumfriesshire at this time were almost certainly those of Gilchrist, and were used in Lindsay (1856) and in Leighton (1879). There is no reference to Gllchrist's contribution in the former work, and only a single mention of his name appears in the latter work although the locations given in both works are indicative of his researches in lowland Scotland. A few of Gilchrist's specimens were examined by Lindsay in the preparation of his major work on imperfect states in lichens (Lindsay, 1861). Biographical details taken from 'The James Gilchrist Lichen Collection at Dumfries Museum', by M R D Seaward and B J Coppins. Transactions, III, Vol. LII, pp. 17-22.